Why Do Some People Hit 90% Of Their Goals While Others Fail Miserably? AND achieving your most important goals. The reason why you must first gain clarity and focus on your goals before you can achieve them. How you can use "The Science of Motivation" that guarantees you’ll achieve your goals. Every. Single. Time. Whether you want to earn more money, become healthier than ever before or find the love of your life, this science-based course will show you how to use your “emotional computer” to have it all. Spaces Are Limited. Claim your spot now. 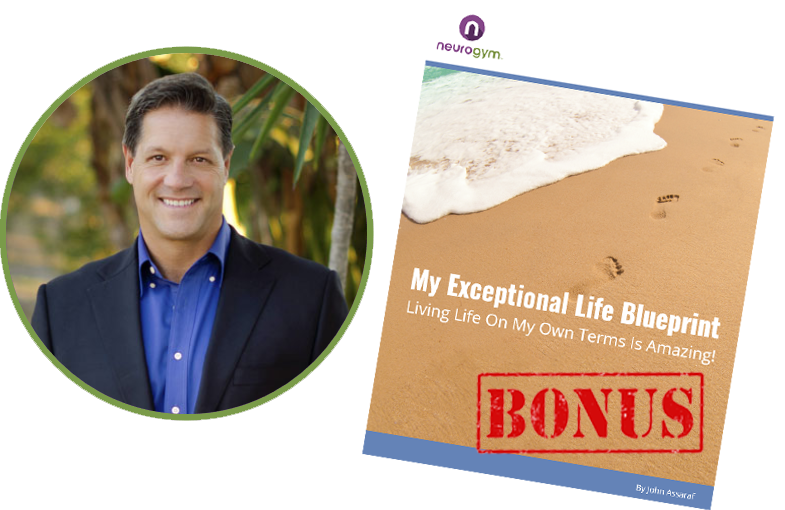 Register Now for the Free video mini-course and get the Exceptional Life Blueprint as a Bonus! © 2010 - 2017 NeuroGym All Rights Reserved. Unauthorized duplication or publication of any materials from this site is expressly prohibited.